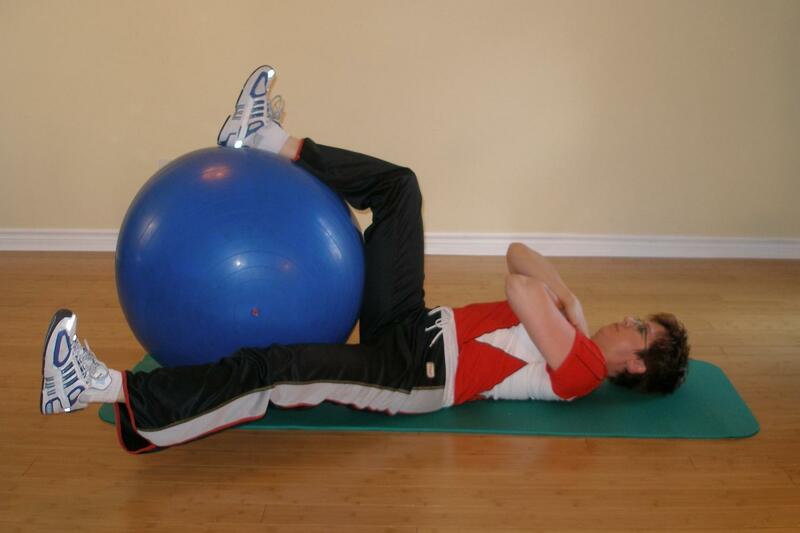 Start this ball exercise by lying on your back, arms crossed over your chest. Rest your legs on the ball such that your hips and knees are at approximately 90 degrees. Try and keep your pelvis in its neutral position. Slowly lower one leg flat to the floor and return it to the ball. Repeat this with the other leg. Make sure your lower back doesn't raise off the floor as you lower your leg. Do not let your back arch up off the floor or let your hips rotate. Keep your head on the floor and your chin tucked to prevent neck strain. If you find your back arching, try Foot Drops or Leg Drops. Add a 1-2 kg ankle weight. This is a progression of the foot drops ball exercise. By lengthening your lever (straightening your knee) you exert more force on the muscles required to lower and lift your leg. Your trunk stabilizing musculature must work harder against this greater force. The hip flexors originate from the front of your pelvis and lumbar spine. As you lower your leg these muscles contract eccentrically to control the leg's decent to the floor. Simple physics dictates that if your leg weighs 30 pounds these muscles must exert a force equal to this to hold your leg up against gravity and that this force is translated to your pelvis and lumbar spine because that is where these muscles originate. In order to maintain stability of the joints in your spine and to prevent your pelvis and spine from moving during this exercise, the stabilizing muscles must work to prevent this movement. The reason we want to prevent our spine and pelvis from moving during this exercise is because it can lead to excessive shearing forces at the joint and strain. 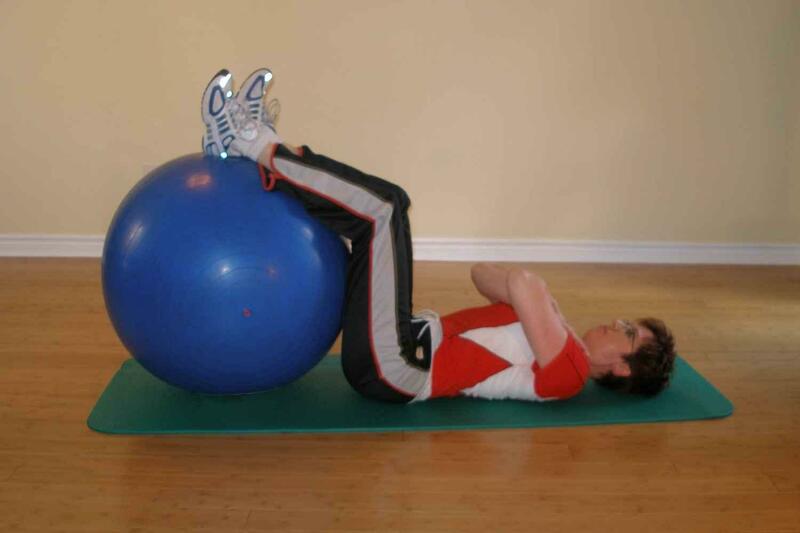 Repeat this ball exercise 6 times with each leg. Repeat this ball exercise 10 times with each leg. Repeat this ball exercise 15 times with each leg.